Large customers of EMS Software (e.g. GSK, Accenture) required a new feature to easily find rooms by filtering through their massive networks of Buildings, Areas, and Views across states, countries, and continents. 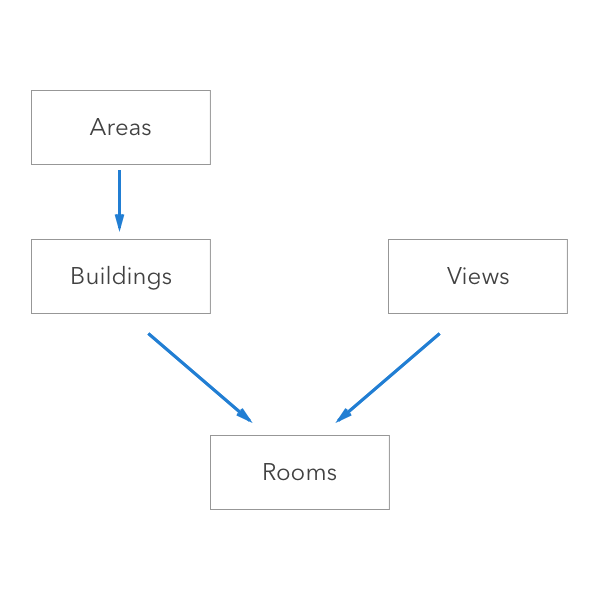 After mapping out the use cases, we discovered that when the user is searching for a Building, they will not be searching for a View. Views are mainly used to filter out a Room’s features (Apple TV, HDMI input, etc. ), while a Building is, well, a building. 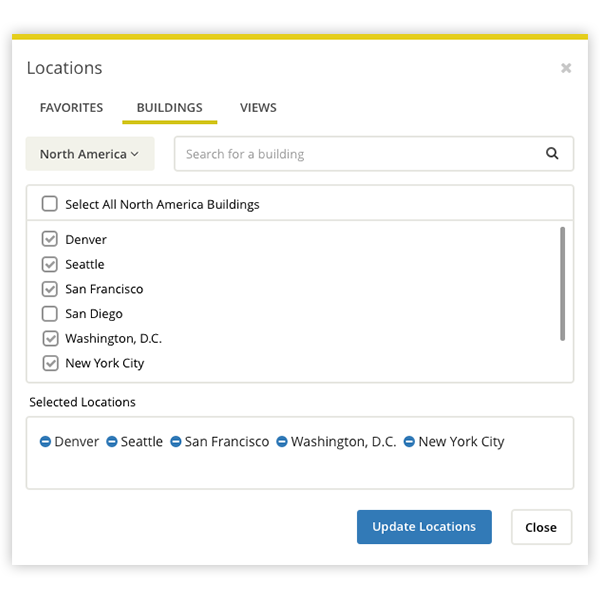 This led to a three-tabbed design where the Building tab contains a functionality to filter by an Area and the Views tab will just display the Views. This design meets all of the needs of the use cases established by the Product Owner and I. The feature was a “showstopper” for GSK, so when we presented them the solution, they were thrilled with the quick turnaround and the final design.